Dark flowers have proved to be the most popular colour with our customers from when we started our business. 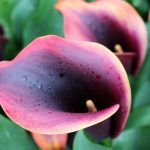 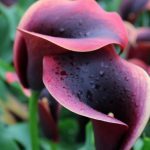 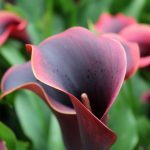 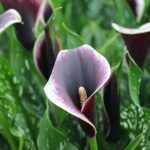 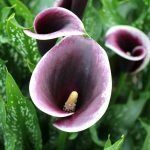 In the 8 years we have been growing and exhibiting Zantedeschia, dark flowers have continued to outsell by far all the other varieties. 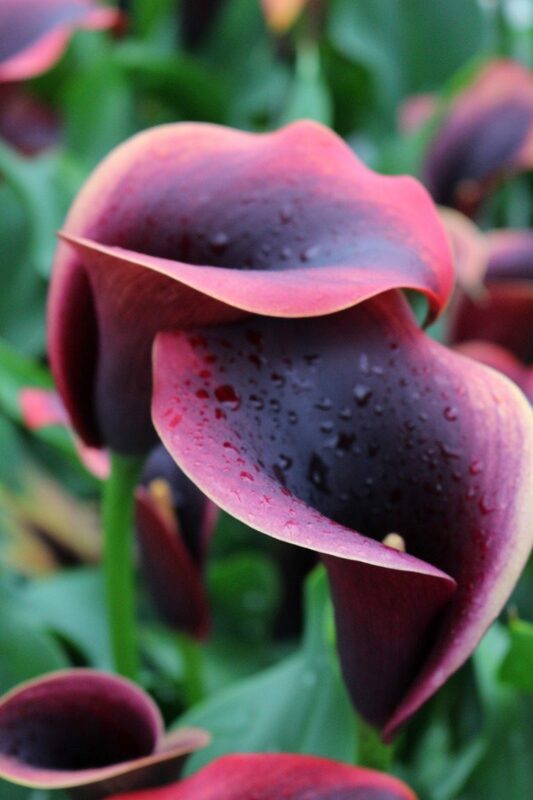 The two new varieties this year each bring a twist to the much coveted dark flower. 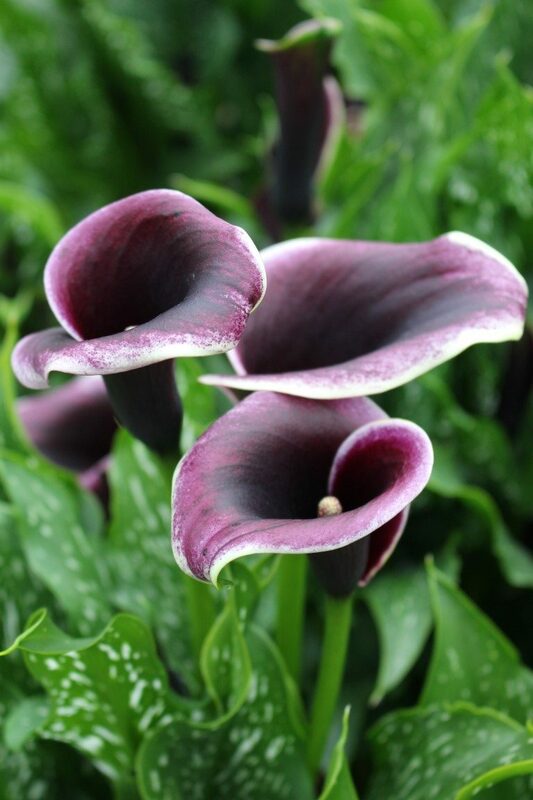 Zantedeschia ‘Dubai Nights’ have flowers which are rich velvet purple with an outer margin of cream a truly unique and exotic look. 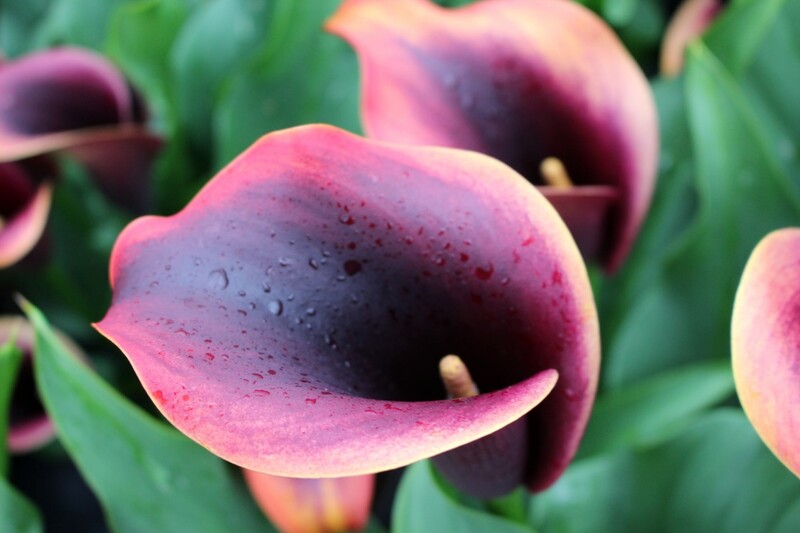 The plants maintain their interest even post-flowering with their foliage. 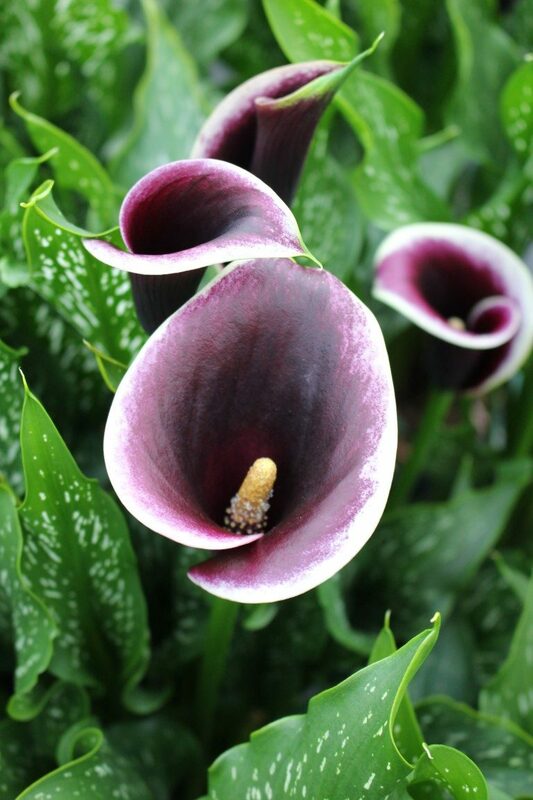 The strong arrow shaped leaves have good structure and the white flecking adds an element of interest. 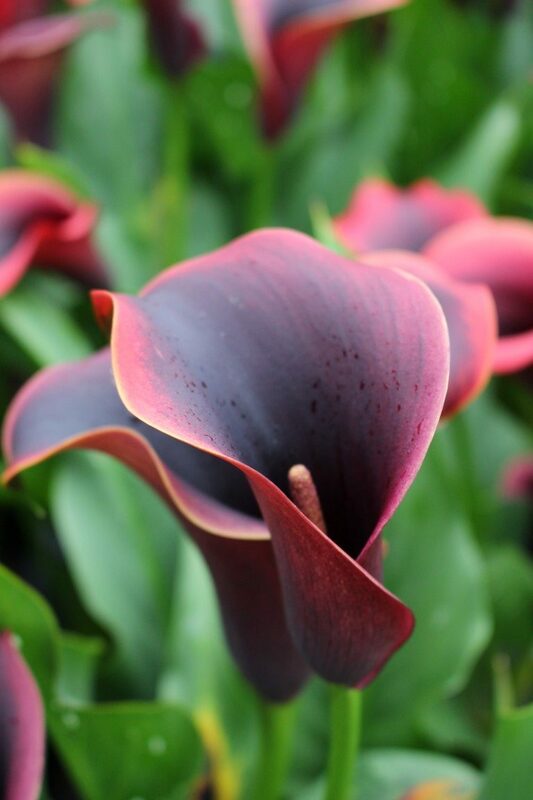 The compact growth habit of the plant make it ideal for growing in containers, therefore extending opportunities to enjoy horticulture for people who are unable to grow plants in gardens. 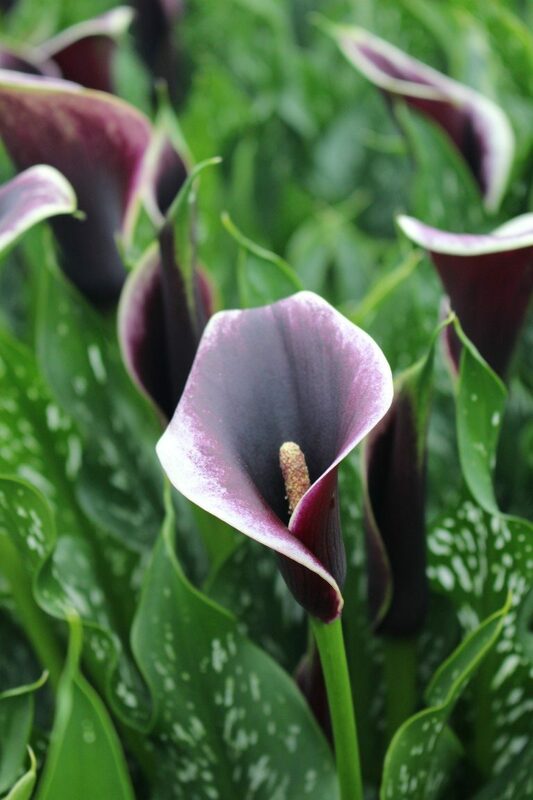 An outstanding feature of this variety is the length of the stem, which places it firmly in the cut flower category. 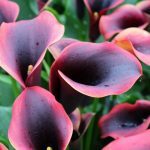 In addition to this, the colouring of the flowers offers a changing spectacle which covers a wide spectrum during its growing cycle. 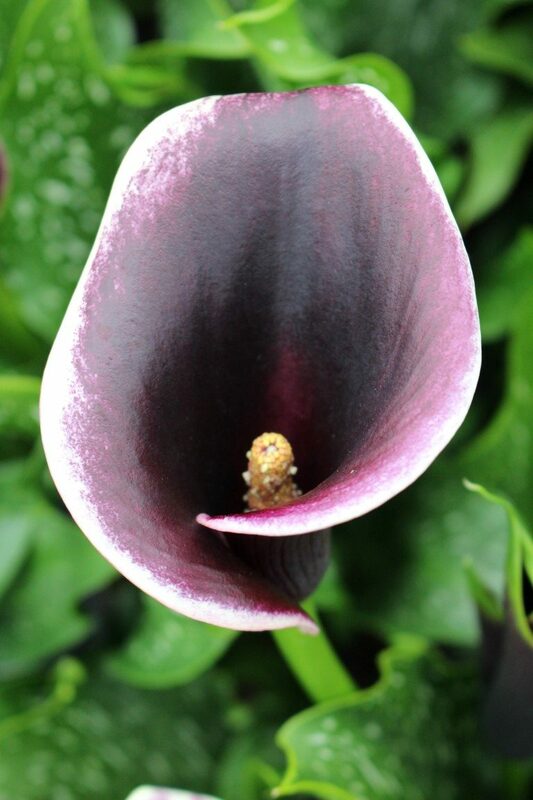 Flowers are nearly black in the centre, changing to purple at the outer margins. 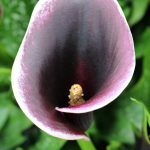 The finishing touch that makes this flower a truly unique bloom is a very narrow yellow line right on the edge of the flower. 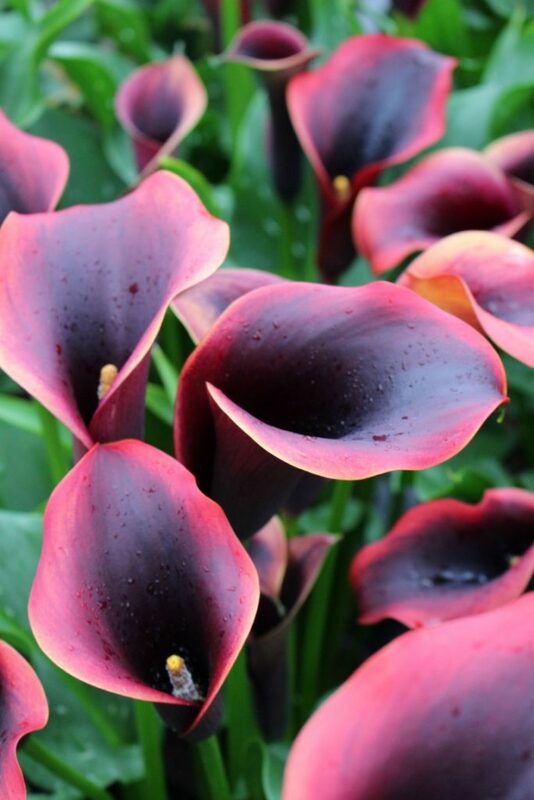 This develops into a broader band of red as the flower ages. 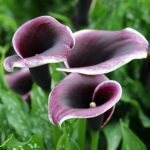 The flowers are remarkable not just because of their colour, but also because of their shape: their wavy edge add an element of interest to the plant.